A Dutch university now has a café where tiny unmanned aircrafts work as servers — the first in the world. The drone café will be open all weekend as part of the celebration called ‘Dream and Dare Festival’, marking the 60th anniversary of the Eindhoven University of Technology. There are twenty students working on the project, and it took them nine months to build the autonomous drone, which proves how a small device can be an important part of life. 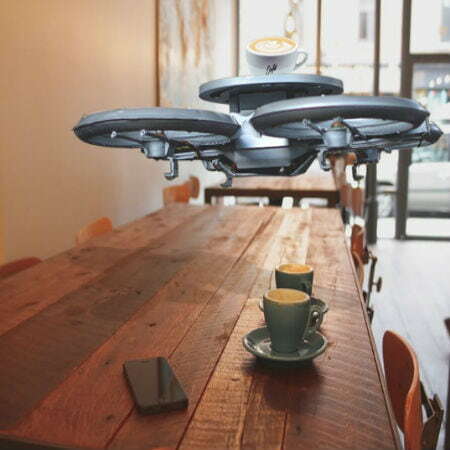 The drone, which they named Blue Jay, looks like a small white flying saucer with a luminescent strip for eyes, flies to a table, and hovers as it takes a client’s order, who points to the list to signal what they would like. Underneath the drones are a set of pinchers, which carry the drinks. This just proves that these machines could be used to carry out important missions such as medicine deliveries and tracking down burglars or even in a drone delivery services. “We believe that one day, domestic drones will be a part of society. One day, a drone could be a friend,” says one of the students behind the project. A beer-pouring robot that understands body language and knows when someone wants another drink was developed in 2013 by American students. 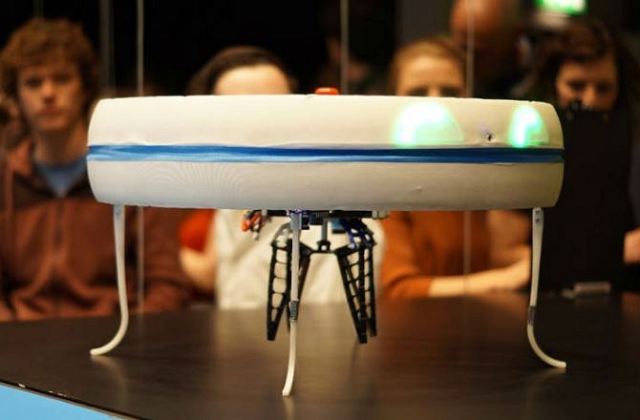 The robot, with the help of Microsoft Kinect sensors and 3-D cameras, was able to analyze its surroundings and figure out its owner’s needs. A database of videos has been embedded in the robot, showing 120 household tasks to identify close objects and generate a set of possible outcomes and choose which action it should take by itself. Or learn more about our Drone Tracker GPS.